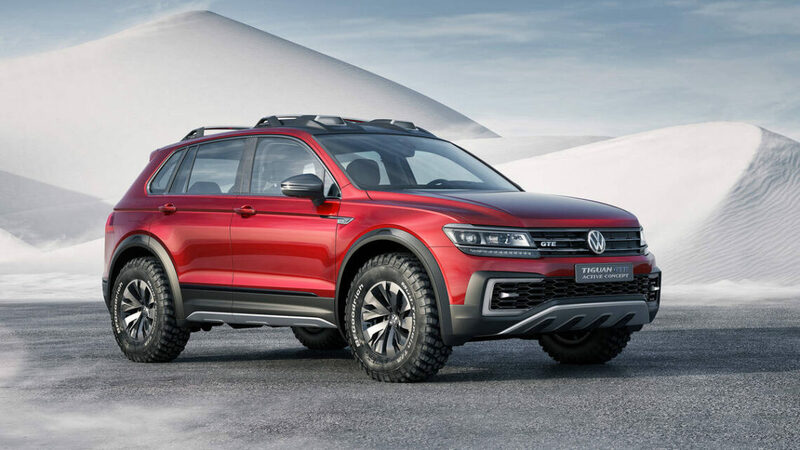 The hybrid VW Tiguan GTE Active Concept has impressive off-roading capability, even in its all-electric mode! It has a traction control system with Sludge, Rocks, Sand, Gravel, Sport, Snow and Battery Hold modes. The gas and electric-using SUV will have two electric motors for each of the axles. 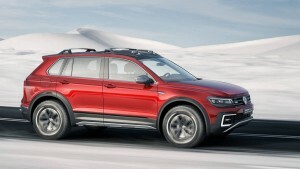 The VW Tiguan GTE Active starts in rear wheel drive and then transitions to use its all- electric mode, which has a range of 20 miles per charge. 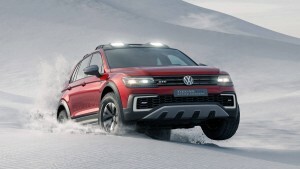 When the terrain changes or if the driver selects the 4Motion Active Control, the car will activate four wheel drive to make sure that the vehicle has extra traction. The turbocharged direct-injection TSI gasoline engine delivers 148 horsepower and 184 lb-ft of torque. It can produce 221 horsepower in off-roading conditions. The SUV can go 60 mph in 6.4 seconds and can reach speeds of 120 mph. spotlights, recovery hooks, roof rails and resculpted front and rear fascias. The interior is equipped with a 9.2-inch gesture-controlled touchscreen that is compatible with Android Auto and Apple CarPlay. 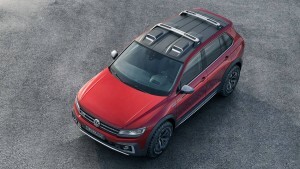 Specifically designed for hybrid use, the Tuguan Concept will use a 6-speed dual-clutch (DSG) automatic transmission. The five-seat Tiguan GTE Active Concept is based on the second-generation VW Tiguan, and will will have an available seven-seat option. 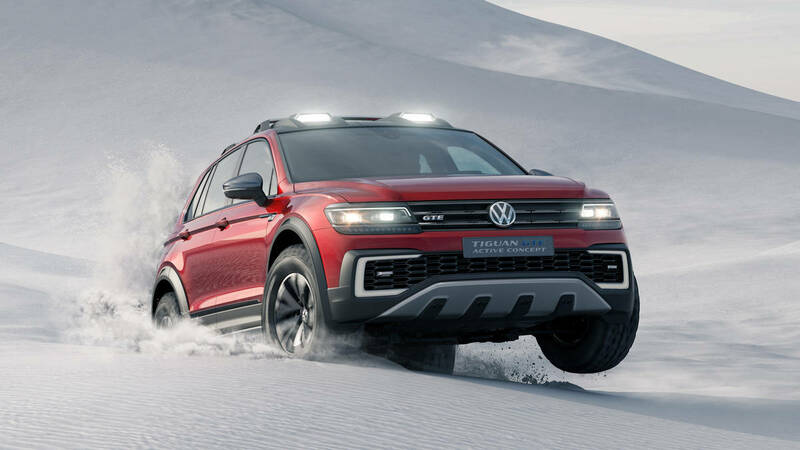 To learn more about the VW Tiguan GTE Active Concept that is coming out in 2017, please contact us and visit us an McGrath Volkswagen in Marion and McGrath Volkswagen in Dubuque! For over 60 years, McGrath has served the people of Waterloo, Cedar Rapids and Iowa City with high great customer service, quality vehicles and unmatched prices.